johndoe1225 wrote: Do you use it undiluted? Yes, I use it undiluted. I leave it on my scalp 8 hours a night. Spraying it on won't work for me. Did it improve your scalp laxity? Latest 1 year and 9 month photos are up here. Overall coverage in the focus area is too light colored and not dense enough to matter much for looks. Other areas are denser around the hairline . Still slow progress, might take another year to look much better. I will stay with the method, it does regrow hair and I have nothing better to do except wish I could get some stem cell work done. Anyhow just wanted to update and maybe it can help guys start younger to keep what they have . 1. have not lost hair over 2 years. Wish it really looked great in bright light for coverage, but it does not, but the process is working and it does look much better in dim light, even got a compliment on how my hair looked better, a real surprise from a lady that knows nothing of my process. Still same process as before. Don't need so much pressing, as there is no pain of calcification, just press to get veins bulging. Wire brush for 5 minutes a day and use the topical I discussed previously. I will say that it is encouraging to see others continuing with manuals. I hope their time is faster, but want to firmly establish a few years as what it takes to reprogram follicles. just want to say that my scalp is no longer on sebum over productivity mode i feel it dry now ,may be this one of the factors that help hair regrowth , i saw at many hair loss forums that people struggle for having a way to get rid of sebum because they think it is the only thing that halt their regrowth but for me it dosnt seems enough . cd has the shape of your head gotten smaller at all after getting rid of the calcification/fibrosis or whatever this weird tissue is? Hi, a bit hard to measure the skin thickness, but for sure it is healthier scalp skin with far less shiny oil and spongy feeling. Pressing does a good job of clearing out impurities and refreshing the skin to regenerate. I am going to post a comment on this thread relating to the consistent wounding of the scalp to bring regrow.
" It looks like it's essentially a form of wounding, like microneedling. They thread a dissolvable thread through scalp thus wounding it and trigger the same wound healing response as with dermarolling, except this is below the skin and due to the thread the wound stays "open" I assuming for several weeks, or maybe even months. Apparently it's already widely used for non-surgical face lifts. " I find that the wire brushing allows for this kind of minor injury on a daily basis. Soon I will post more photos, progress should show up on camera I think. Have a single photo to post since the few I posted about 2 months ago (total 2 years and 2 months) . It shows some of the hairs going terminal. I cut this area every 3 days. The hairs that are longer grow like regular fast lengthening hair. 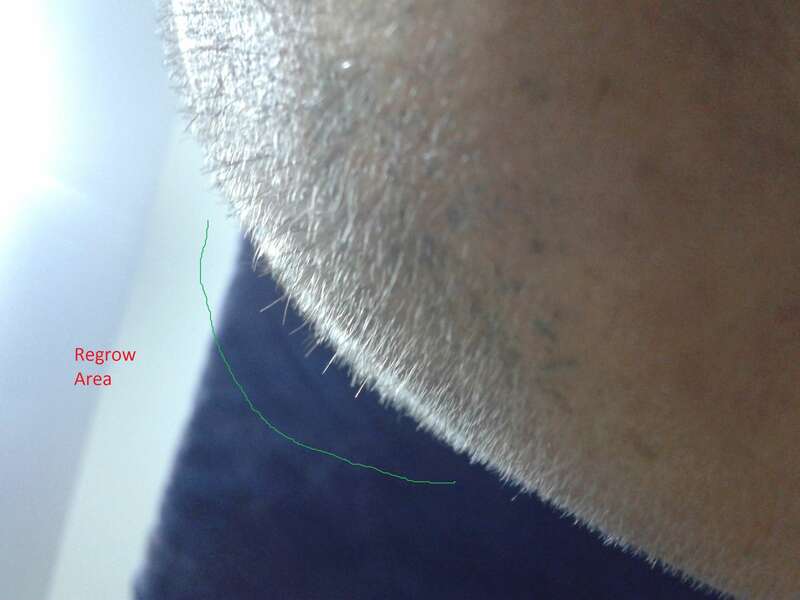 Actually the grafts and the terminal hairs grow at an accelerated speed, more like my beard. There are more terminal hairs, but they all get trimmed every few days, so are not sticking up. Some more of the longer hairs would be seen if I adjusted the photo angle also. The point is that the hairs are still progressing rather than 2 years more slick bald and receding. Also keep in mind that this is the temple focus area, not a border area. The hardest area to regrow. There are hundreds of new terminal hairs across the scalp as the mat thickens. I do mostly wire brushing these days. I consider to recommend that if people do not have the patience for the pressing and decacification, that some just try the wire brushing and topical and see if they get results. Nice! Make that scalp adapt! Hi, latest photos from around 2 years and 4 months are up showing the terminal hairs filling in, and a photo of the dog wire brush that I am using. Could we see a whole headshot taken 2 years ago beside one recently taken please ? These close-ups are too hard to understand to give a whole impression. 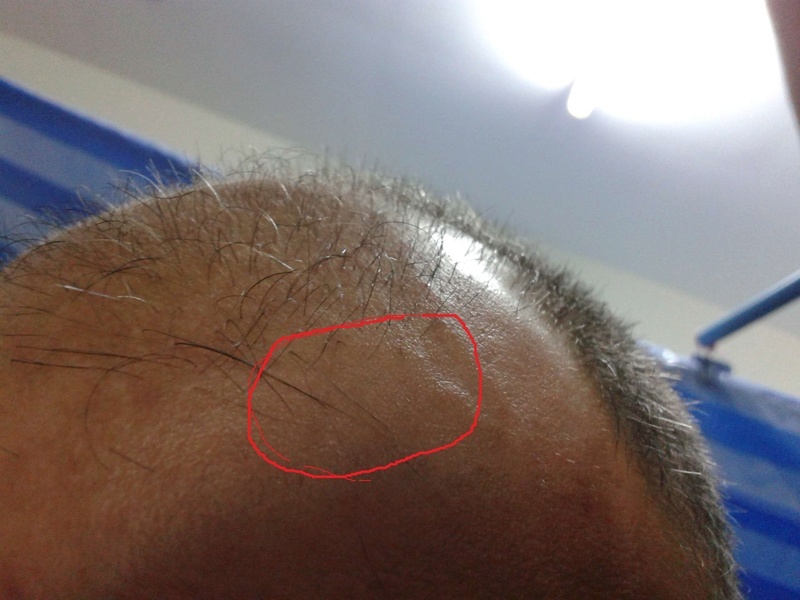 Im 29 yrs old and have been losing hair since late teens..
Now its thinning a lot, receding hairline and temples are losing hair fast ! I tried Malniak massages, I do yoga asanas that direct blood towards scalp (all this over last 4-5 yrs) and.. now.. I bought a PVC elbow and started doing DT 2 months ago. I wasn't very regular so I would count it as 1 month of DT with the elbow. Now I feel small painful cysts near both of my temple areas but I will keep pressing it and progressing I hope. Maybe my 1 month of DT has prepared my scalp well for PRP or maybe not. I do not know for sure completely. I also do not know if my hairfall is under control due to DT or not. I will most likely go for PRP treatment this week to get the dosage of platelets as food for my hair but I want to know your suggestions on Minoxidil & Dutasteride .. Is it worth using them ? Also after PRP should I continue DT ? My plan is to stop temporarily for 2 weeks and then start Pressing with PVC elbow again, to make my scalp ready for next PRP that will be due the month after .. I have been taking pics of my hair for a long time in my life.. I will maybe post some later. Interesting, a few clarifications please. The small painful cysts near your temples, were they pre-existing and discovered upon pressing, or were they caused by pressing ? As for minoxidil , I have used it, it is a mess, costly long term, contains toxic crap, and is temporary results at best. 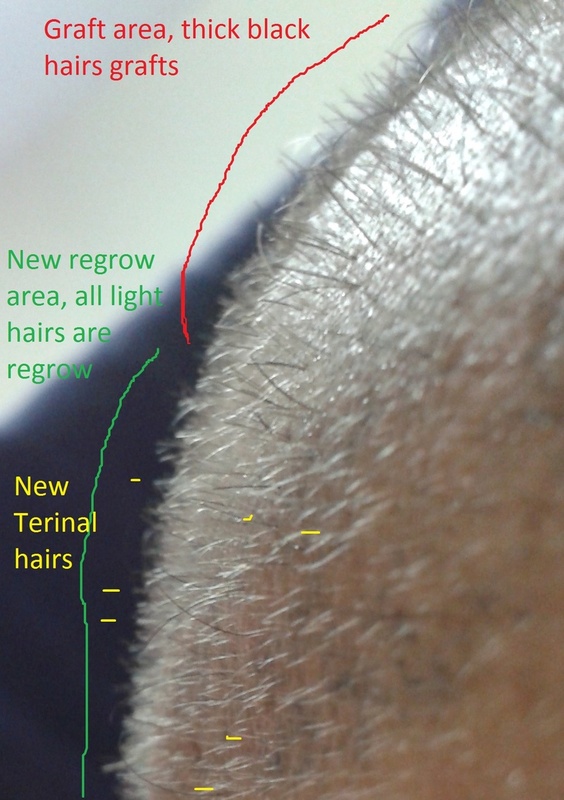 That is the tradeoff of reversing hairloss naturally vs patching the problem with symptom temporary fixes. Natural takes longer, but the results are due to a healthy scalp that can be maintained with no side effects. I think the PRP is really cool and would try it myself. I am not sure if it will be a huge improvement over the pressing method. My theory is that the pain and micro injury of pressing brings the PRP and healing factors to activate stem cells naturally. Earlier in the thread this was detailed. I hope you do see great results. It takes a few months of pressing to get rid of the painful deposits below the scalp. Until that is done I would not consider the scalp dramatically altered, but the blood flow and other benefits of pressed out oils etc are a good start. Yes I would stop pressing for a week or so around your PRP, as you do not want to push the platelets out of the area. I should add to take 1-2000 mg of vitamin C to accommodate the injection infection factor, and it is just a good addition to the pressing to keep the skin healing quickly. I think pressing has caused it. Its a small circular area (like acne on scalp), a small bump and is painful upon pressing. I was thinking that maybe PRP+Minoxidil has better effects, because the scalp becomes loose and the injected platelets then get a chance to reach follicles better. So maybe I can use Minox in the first week after PRP every month, but I am told that once you start using Minoxidil, you have to use it for lifetime - this statement scares me to even try it. My frnd who recently got PRP done (6 sessions, 6 months) has seen great results. Ofcourse its not just PRP, its PRP+Minox+Microneedling+Dutasteride. So I think the combined effect gives great results but I don't really know how long the results last. I'll keep working on the scalp to get rid of deposits. I'll try to include food rich in Vit C ... or are you suggesting vitamin tablets ? or any topicals? Yes I had plenty of random bumps along the way, but also had a pre-existing bump that I thought might be possibly sun induced skin cancer completely heal from pressing. The skin is detoxing, purging, and expelling, so some clogged pores may be under pressure. Also there can be (and I had) very early random hairs that just spring out full diameter and grow at full speed. They can spring out of a clogged follicle. It is crappy for your skin health, sticky so clogs pores , and there are other natural alternatives on the forum like wasabi and others that test just as effective. Yes minox once stopped, you lose your progress. It is just a mess, yellow stained pillow, sticky scalp, just junk. I did micro needling with Minox, it worked, but that is how I developed DT-CPR, the effects were about the same with no minox. I would just do the PRP, you can always add the other things later if you are desperate. Healthy scalp is the key, not temporary regrow. Vitamin C food is way too low of levels. A glass of OJ only has 60 mg, 1-2000 mg is the minimum to stay healthy. Yes I list my topical not many threads back. Basically it has green tea, seaweed, wasabi, vitamin c powder, all in a water concentrate. How long will vitamin C water last? I am going to experiment by mixing some pure L-ascorbic acid powder with distilled water in a spray bottle and seeing how my scalp tolerates it (I'm thinking maybe 5-10% concentration to start. I could make it in small batches, it will just be much harder to get to come out. I'll store it in the refrigerator I guess. Maybe I could even store it in an airtight jar, and then when I need to use it, pour it into the spray bottle, then pour it back into the jar when I'm done? I'm thinking that I will actually give my scalp a spraying with ACV water (maybe 25ish percent), to balance the PH of the scalp before applying the vitamin c spray so it can work properly. I hear that vitamin C serum needs a particular PH to work right. I use a DIY vitamin C serum on my face (made the same way I described), around 5-10% concentration so far, and lots of places I've read tells you that you need to have the proper PH. I assume that as long as my ratios are correct, the PH will be correct, right? They say the effective range (for facial serum) is 5-20%, with 10% being generally recommended when you build up to it. The reason I'm trying this is because I just saw some anti hair-loss/scalp health spray thingy called "vitamin C12" or something like that, basically you spray it on twice a day and that's it. So I figured, well I have to make my own, I love DIY I figured I will use it once a day to start; before my shower during the day. If I tolerate it well, I can add another application later at night, and if it gets irritated I can always just rinse it off, or even just spray some water alone on it to dilute it more. Hi JD, also good to see that you are still developing good ways to progress. If you are using ascorbic acid vitamin C, this is used as a natural preservative. To me this means that it has a very stable shelf life, and prevents bacterial growth. I would also keep it refrigerated, and could mix in a tiny bit of alcohol like vodka if storing for more than a week. cdto2012 wrote: Hi JD, also good to see that you are still developing good ways to progress. If you are using ascorbic acid vitamin C, this is used as a natural preservative. To me this means that it has a very stable shelf life, and prevents bacterial growth. I would also keep it refrigerated, and could mix in a tiny bit of alcohol like vodka if storing for more than a week. Oh, well that's convenient, lol, yes I am using L-AA. It's not SUPER fine but if I mix it enough it dissolves almost completely when I was making my facial serum (4 teaspoons water, 1/2 teaspoons LAA powder). Oh btw, cd, sorry I forgot to ask; what PH value should I shoot for in my vitamin C hair spray to allow it to penetrate the skin, but not be too acidic? I think I read 3.5 is the perfect value for penetration? I tried it a few times the last few days. I added 1/2 teaspoon to around a cup of water and put that in a spray bottle and didn't really get any irritation, just dryness, so I assume the concentration is very low, however measuring liquids vs dry powders is probably different. I've been using what I thought was a 10% vitamin C serum on my face, which caused mild irritation (but no real redness or anything), but now I'm worried that I made the PH too low and ordered some test strips. I'm trying to experiment with mixing some MSM powder in distilled water and applying that to my face too, at the very least it's probably much safer than vitamin C (not that vitamin C is dangerous). Vitamin C (ascorbic acid) can be injected at very high doses directly into the blood. At too high of an external concentration I think you would just get a normal skin peel product reaction. I do not know the proper ph, as I do not use it to dissolve calcification, just as a low concentration supplement. I do know that it is researched as beneficial to the skin. cdto2012 wrote: Vitamin C (ascorbic acid) can be injected at very high doses directly into the blood. At too high of an external concentration I think you would just get a normal skin peel product reaction. I do not know the proper ph, as I do not use it to dissolve calcification, just as a low concentration supplement. I do know that it is researched as beneficial to the skin. Oh, ok thanks, I was just really worried that I was damaging my skin because of the mild irritation I kept getting, I never got any peeling, but just to be on the safe side I'll lower the concentration and wait for my PH strips to arrive, then let you know. Most places I've read seem to suggest that a PH of around 2.8-3.5 or so is best for absorption (I assume it's the same whether it's facial skin or scalp skin). I've started pressing seriously two months ago, 10 minutes twice a day. I press using 2 PVC elbows (one in each hand). What I can say for sure is that the pain has dramatically reduced: during the first weeks, the feeling of a sore scalp was pretty intense even 2 days after a massage. Now, there is no more pain at the end of the day for a massage performed at the beginning of the day. What do you think of this progress? What are the next steps?